LUSH Cosmetics has arrived in South Africa – I cannot tell you how long I have waited for this day to arrive! Well, to be honest this day arrived quite a few months ago for Capetonians – but for me, it arrived a couple of weeks ago. You see, the first LUSH store (and only at this stage) in South Africa opened their doors at the V&A Waterfront in October of last year (2012). My sister-in-law went on holiday to Cape Town a couple of weeks ago and I asked her ever so nicely to bring back some LUSH goodies for me. I didn’t even know what to ask for, as I basically wanted to try EVERYTHING. I have been watching for years how Youtube beauty gurus rave about LUSH products, and I used to sit in front of my PC and turn green in the face. I am green-faced no more, because I have experienced what all the hype is about and believe you me, there is a reason for all the excitement. This blog post will be dedicated to educating all you lovely readers (yes, all 4 of you – haha) on what LUSH is all about. I won’t be doing a full review on all the items I purchased, just the lip scrub. But don’t fret, reviews on all these goodies will be popping up soon. I LOOOOOVE that they don’t test on animals! You’re probably wondering about the part on ‘losing everything’? Well legend has it LUSH emerged from the demise of a cosmetics mail order business called ‘Cosmetics-To-Go’, initially created by Mark Constantine & Liz Weir after working together creating products for The Body Shop. After the venture collapsed, the same team dusted themselves off, spent what little money they had left buying fresh fruit & vegetables and created a new venture … LUSH. On to my first review, LUSH Sweet Lips. I have been suffering with very dry lips for the last 6 or so months and I have had to exfoliate my lippies every day just to be able to wear lip gloss or lipstick. Winter is here and although my lips are getting better, they are still quite dry. This lip scrub has been amazing. 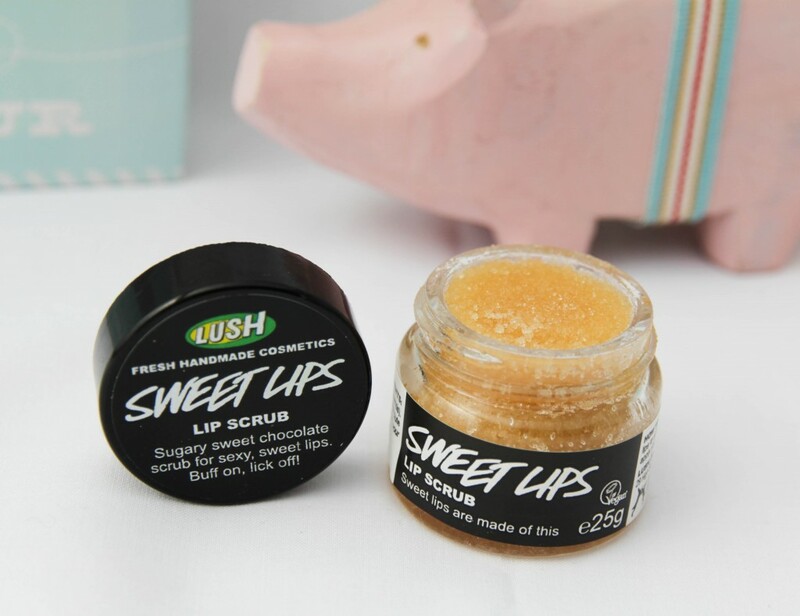 ‘Sweet Lips’ is a cocoa and vanilla infused lip scrub. Vanilla extract and jojoba oil keep my lips moist, castor sugar gently exfoliates and although I’m not a fan of chocolate, the rich fragrance of cocoa makes me want to eat it. And I can! The whole idea behind these lip scrubs is that you apply a small amount to your lips, scrub your lips until they feel soft and then you lick off the excess. Yum! These people are geniuses! The retail price of this scrub is R 65.00 ($ 9.95) for 25g (0.9oz). 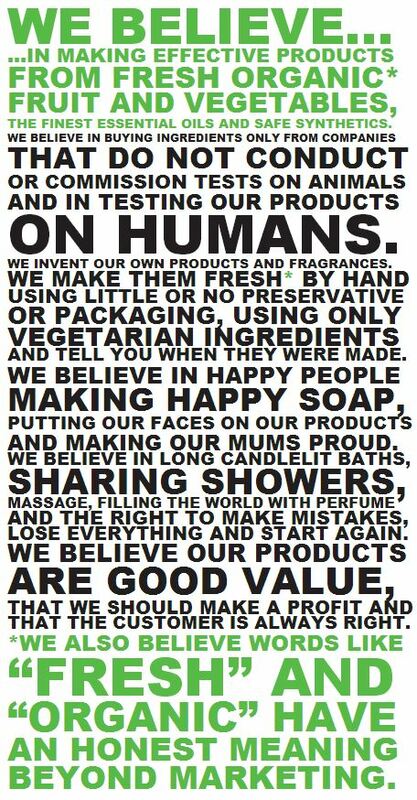 LUSH also has a programme similar to BAC2MAC whereby if you return 5 empty pots or tubes to them (their packaging is made of recycled materials), you receive a LUSH mask for free! If you’re STILL not convinced, do yourself a favour… Go onto their website and check out all their interesting products i.e. solid toothpaste tablets, shower jellies and massage bars to name a few. Have an absolute great ‘Lushious’ holiday and bring back some samples for your most loyal readers! The chocolate lip scrub sounds real yummy!